Having switched to a common chassis supplied by Dallara starting 2012, the IndyCar series seemed to move toward becoming an increasingly restricted sport due to the sanctioning body’s new cost-control methods. 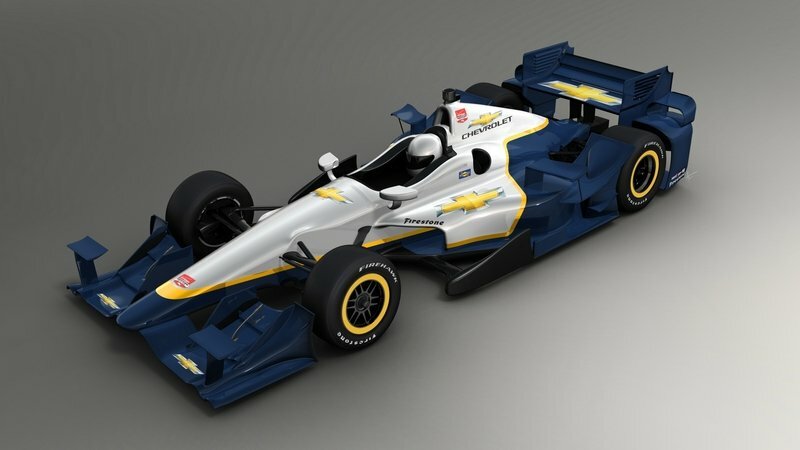 But after three years of acquiring both chassis and aero kits from Dallara, IndyCar finally allowed manufacturers, until now commissioned only as engine suppliers, to develop their own body packages. As a result, both Chevrolet and Honda spent most of 2014 working on aero kits to replace the previous DW12 kit, the results of which have been presented ahead of the new IndyCar season. With Chevrolet-powered teams having been introduced to their new aero kits in February, Honda has now revealed its own aerodynamic package, which will grace the bodies of no fewer than 13 cars throughout 2015. Six teams will receive the aero kit ahead of the season’s opening race on March 29th: A.J. Foyt Enterprises, Andretti Autosport, Bryan Herta Autosport, Dale Coyne Racing, Rahal Letterman Lanigan Racing, and Schidt Peterson Motorsports. Will Honda have what it takes to prevent Chevy from winning yet another manufacturer’s championship? 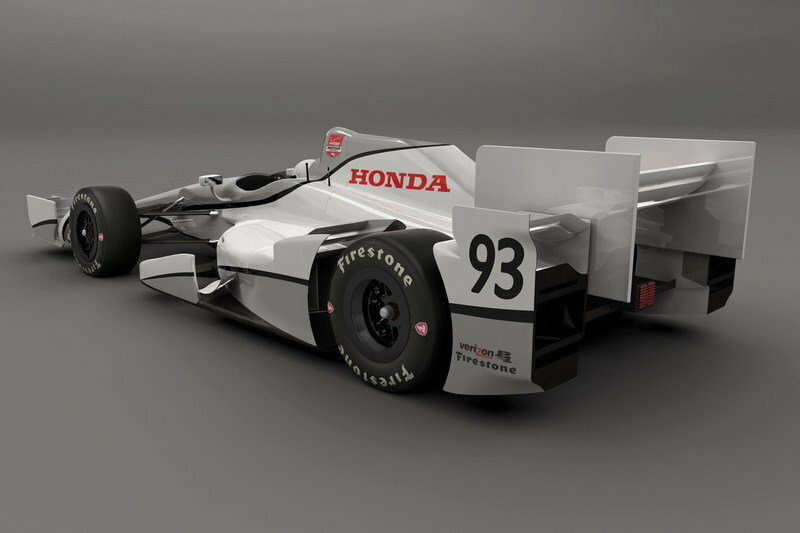 Continue reading to learn more about the 2015 Honda Indy Car Aero Kit. Although the rear wing is slightly narrower than the previous design, the intricate system of louvers and blades likely delivers greater aerodynamic performance. Developed by Honda Performance Development, the U.S.-based arm responsible for the brand’s racing designs, the package is the result of a comprehensive process similar to those HPD used to build its Le Mans prototypes. Penned using the latest in Computer-Aided Design (CAD) and Computational Fluid Dynamics (CFD), the concepts were then validated on Driver-In-Loop simulators before becoming full-size prototypes. Testing took place in wind tunnels at first, with final adjustments made in a series of on-track tests with the assistance of the Andretti Autosport team. The end result is arguably the most aggressive aero kit to ever grace an IndyCar. The front wing is a collection of blades and louvers that channel the air up over the front suspension and wheels, while the more compact side pods feature an additional pair of twin winglets that guide the air toward the rear wing. 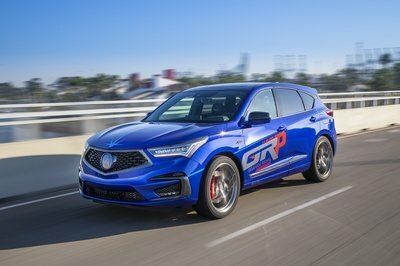 Like Chevy’s package, the new Honda kit is a significant departure from the traditional open-wheel concept around back, with massive body panels used to enclose the rear wheels almost completely. Although the rear wing is slightly narrower than the previous design, the intricate system of louvers and blades likely delivers greater aerodynamic performance. The Honda package comes in two configurations. The one shown here is for road courses and short ovals that require a higher degree of downforce, with a second configuration for speedways likely to be revealed sometime before the Indy 500 in May 2015. The cockpit of the new race car is standard IndyCar, meaning its main features are a multifunction steering wheel, a IndyCar-spec racing seat with a multi-point harness, and all the safety bits common to a modern racer. These figures are identical to Chevrolet's V-6 IndyCar mill. Since Honda had nothing to say about the engine powering its 2015 IndyCars, it’s safe to assume the Japanese are supplying a mildly enhanced version of last year’s unit. All six teams will have the same twin-turbo, 2.2-liter V-6 powerplant, with aluminum block and head, double overhead camshafts, electronic combined direct/indirect fuel injection, and drive-by-wire electronic throttle control. The engine comes in three setups, generating 575 horsepower for speedways, 625 horses for 1.5-mile ovals, and 675 horsepower for road courses. These figures are identical to Chevrolet’s V-6 IndyCar mill. Designed and built by Honda Performance Development (HPD), the engine tips the scales at 248 pounds (the minimum weight allowed by IndyCar), uses a McLaren ECU, and runs E85 fuel, as mandated by the rules. 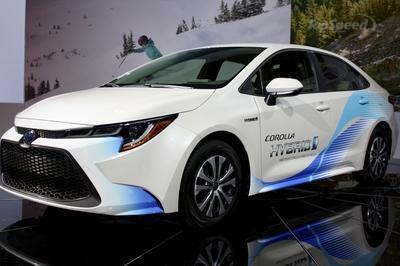 Chevrolet is the only other automaker currently in the series, and it has developed a aerodynamic kit of its own. Although it designed a similar nose, engine cover and side pods, Chevy went for different front wing and rear diffuser configurations, so it will be interesting to see which of these two cars is quicker and more agile on the track. Since IndyCar mandated the engine specs for both suppliers, Chevy’s powerplant is identical to Honda’s in terms of displacement, cylinders, and output. Some internals are different, however, as GM went for a billet steel crankshaft and connecting rods, as opposed to Honda’s alloy steel parts. Chevy also used direct in-cylinder fuel injectors and high-pressure port injectors, as well as a valve actuator. 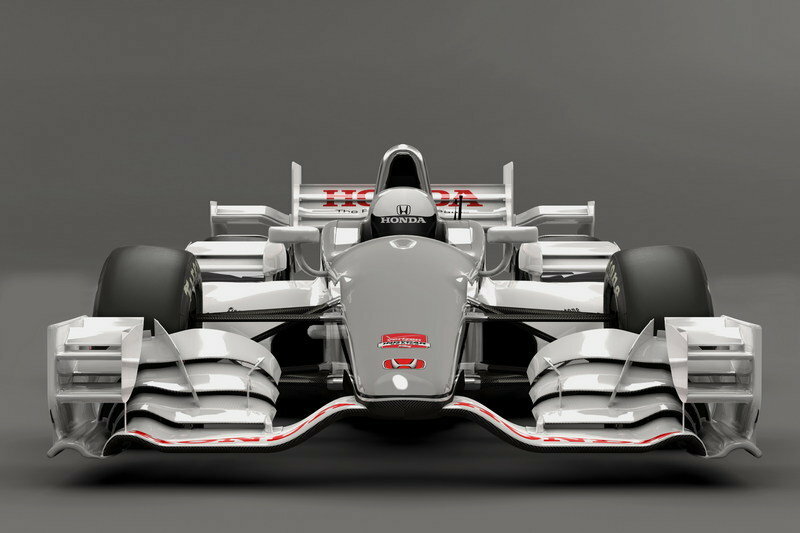 I’m aware that race cars are more about functionality than appearance, but I think Honda’s design looks much more aggressive than Chevy’s. That’s not to say the HPD-bodied cars will be more effective at the track, but it’s refreshing to discover that a manufacturer can still deliver a package that’s not just aerodynamic and in accordance with IndyCars’ regulations, but also appealing to look at. I like Honda’s new design better than Dallara’s and I’m 100 percent sure the 2015 cars will perform better too. Honda today debuted the package of aerodynamic upgrades and components its teams will use in the 2015 Verizon IndyCar Series, as the manufacturer seeks to add to an already impressive list of accomplishments in American open-wheel racing. The 2015 Honda Indy car "aero kit", produced by Honda Performance Development, Honda’s racing arm in North America, includes nearly 200 individual pieces that can be fitted to the existing Honda-powered Dallara Indy car chassis. All are intended to give Honda’s six IndyCar Series teams the ability to maximize performance at each of the 15 circuits that make up the 2015 championship schedule. "We’re excited to reveal our aero kits as Honda welcomes this era of enhanced competition in the Verizon IndyCar Series," said Art St. Cyr, president of HPD and vice president, auto operations, for American Honda. "Coupled to our proven Honda Indy V6 engines, these aero kits are the products of literally thousands of hours of research, development and testing, as we seek to give our drivers and teams the tools they need to win races, the Indianapolis 500 and the IndyCar Series championship." Following in the proven path of the successful Honda-powered prototype sports racers – winners of 74 American Le Mans Series, TUDOR United SportsCar Championship and World Endurance Championship races and multiple titles since 2007 – the Honda Indy car aero kits were developed by utilizing the latest in Computer-Aided Design (CAD) and Computational Fluid Dynamics (CFD) technology. 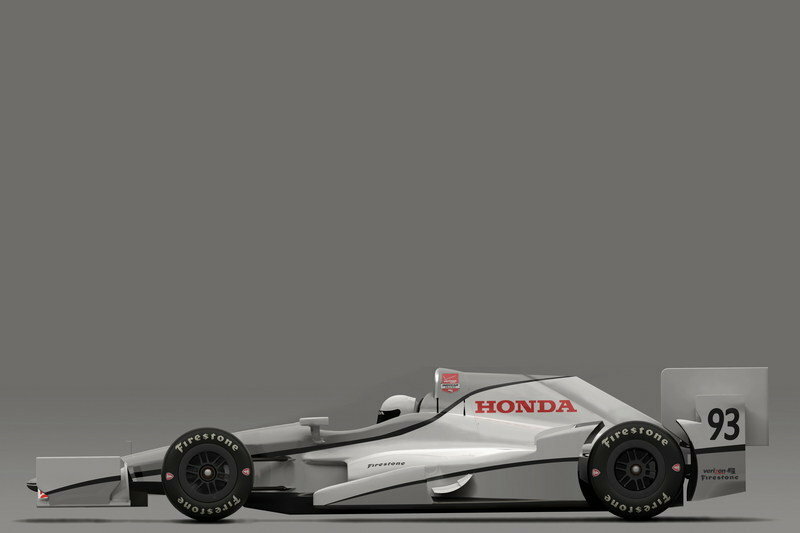 Concepts for the Honda aero kit were validated using Driver-In-Loop (DIL) Simulators, minimizing waste at the prototype stage and allowing aerodynamic direction to be determined prior to the creation of full-size components. Components were then tested in a full-scale wind tunnel to confirm actual aerodynamic performance characteristics, and create aero maps to be used during on-track testing. Final proof-of-concept correlation then took place in a series of on-track tests, totaling six days at various circuits, conducted by HPD with the assistance of the Honda-powered Andretti Autosport team. The complete kit provides Honda drivers and teams with a significant range of available configurations to tune the cars to their desired characteristics and provide additional visual variety to engage fans at all IndyCar Series circuits. In addition to improving performance, aerodynamic safety was a primary consideration in aero kit development. Working with INDYCAR, Honda has a well-established record of utilizing its development resources to produce a safer racing environment, including the design and development of the fuel safety interlock system, now standard on all Indy cars, and more recently the 2015 chassis floor and other future safety developments to be fitted to the Dallara chassis. "We’ve been encouraged by the performance of the new Honda aero kits in testing, but of course the end goal is to win races, the Indy 500 and the championship," said St. Cyr. 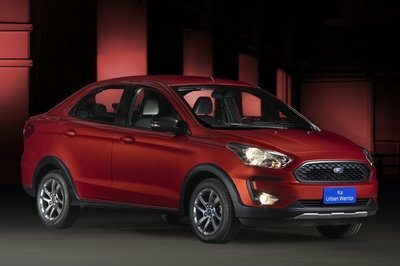 "We believe we have a superior aerodynamic and engine package. We’re looking forward to the start of the 2015 season on the streets of St. Petersburg, and taking on the battle for the Manufacturers’ Championship." Honda’s Indy car aero kits will make their public debut next week at the Verizon IndyCar Series "Open Test", March 16-17 at Barber Motorsports Park near Birmingham, Alabama. The 2015 season opens March 29 with the Firestone Grand Prix of St. Petersburg, Florida.